ASXGui 2.5 : โปรแกรมแปลงไฟล์ .MP4 ฟรีๆมีคุณภาพ | 9TANA : Tech Channel !! Ability to remux audio instead of recompressing. Separate Aspect control for input and output, useful for anamorphic encodes. Fixed a bug with append mode and resampling audio. Modified auto bitrate for a higher bitrate when baseline profile is selected. Replaced missing files causing problems with MKV output. Fixed Windows 7 Taskbar Progress bar for 1 pass encodes. Fixed a bug with loading crf values. Fixed a bug with advanced x264 settings while using crf. Added “Weighted P-frame prediction” options to advanced x264 options. Fixed a problem hiding the tabs in the classic gui. Added a dialog warning that the classic gui will be discontinued as of 3.0. Fixed a bug with incompatible job queue files. Fixed a bug with crf command lines. Enabled maximum bitrate with crf. Added the capability to update profiles. Fixed a small annoyance in the way the crf control works when typed in manually. Added “Adaptive I-Frame Decision” to advanced x264 settings. 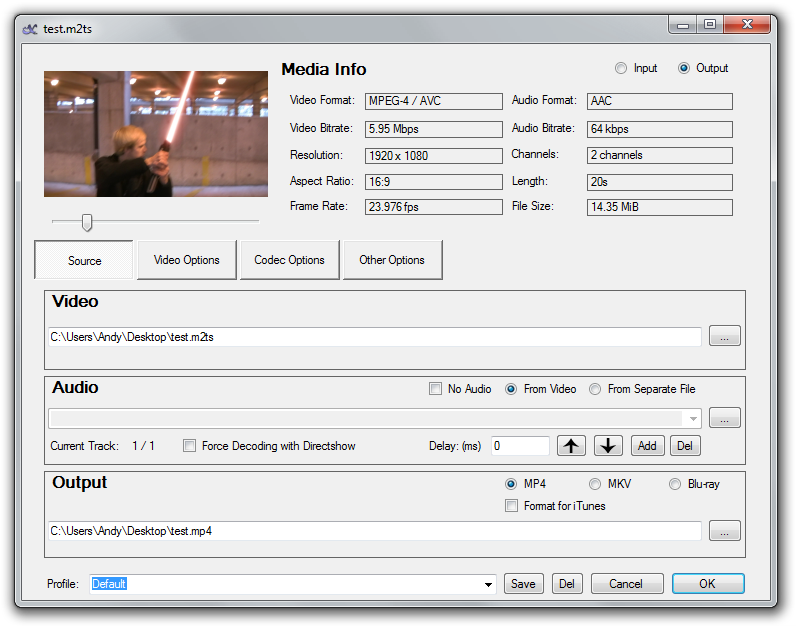 Added Blu-ray options to advanced x264 settings. Freemake Video Converter : โปรแกรมแปลงไฟล์วีดิโอ คุณภาพระดับ 8 กะโหลก ! !